I’m so excited that we’ve reached 60 episodes!!! 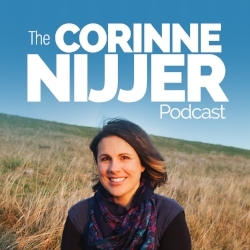 60 episodes of whole food, plant-based recovery stories, experts, motivation, encouragement, tips, transformation and HOPE for anyone out there who has been living with chronic disease. 60 episodes for anyone who has spent countless nights lying awake thinking there was no future for them just like I did back in 2004 when I was diagnosed with Multiple Sclerosis. I’m also excited for another reason, this week is the very first week that we will be putting out 2 episodes of the podcast!! It’s actually quite the feat to find guests, negotiate time zone differences, record, edit, upload, write show notes, and get this podcast out into the World so 2 episodes a week is something that takes a lot of planning and commitment to something bigger than me. This podcast has grown into something that I am so very passionate about, not only because of the feedback I have received from listeners who are beginning their journey’s into whole food, plant-based living, which I absolutely love receiving, but also because I get to support all the incredible people out there who are working so hard to share this message in their own way. Every person who has come on this show has made a commitment to help people to feel better, to find hope, to transform there health and I feel so happy that I get to share their work with you. That through this podcast you might discover the work of Andrew Taylor and learn about his Spudfit Challenge and his purchase his eBooks, or you might discover Dr Caldwell Esselstyn and watch Forks Over Knives on Netflix and read his book Prevent and Reverse Heart Disease. Perhaps you’ve had a heart attack scare and you discover Adam Guthrie’s story and his iFeelGood Magazine or you might have Rheumatoid Arthritis and discover Amanda Fisher and her PlantbasedBabes programs and weight loss shreds or you might hear Shamiz Kachwalla’s story about healing his Ulcerative Colitis and work with him over at High Carb Health. Almost every single guest on this show has something incredible to share so don’t forget to go back through the show notes if you’re looking for someone who might be perfect for you because I’m certain that there will be someone perfect for you. This week I was thrilled to interview Gabriel Millar for the podcast and share his incredible weight loss success story. Gabriel is a plant-based influencer and avid gardener from Richmond, VA. Gabriel was a starting football player at the University of Nebraska-Lincoln until he suffered a career-ending back injury. At the time, he was also pursuing a degree in livestock production, but after his injury he began to do his own research on diet and health. Unable to maintain his previous active lifestyle, Gabriel began searching for ways to lose weight and become healthy through his diet. In the process, Gabriel found that what he was learning in his classes not only contradicted what he was learning about health, but also contradicted his own beliefs about animal welfare and preserving the environment. Still, Gabriel chose to finish his degree while also pursuing his own research into sustainable and ethical agricultural practices that promote health. 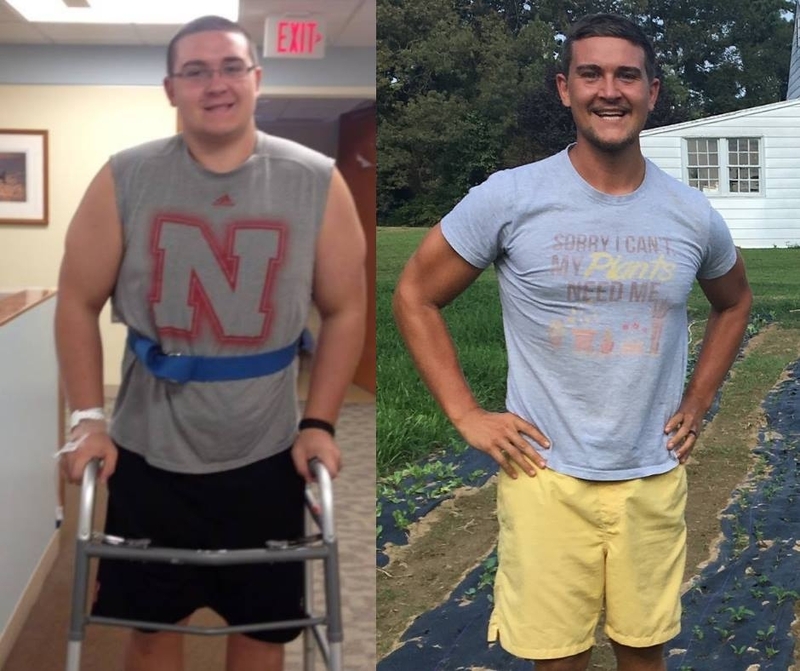 Now 100 pounds lighter than his playing weight, Gabriel runs his blog, Plant Based Gabriel, which is focused on helping people transition to a plant-based diet and vegan lifestyle. In addition to producing simple recipe videos, Gabriel also maintains his one acre vegan vegetable farm just outside of Richmond, VA. Thank you all so much for listening to this episode and for supporting this podcast with your LIKES, COMMENTS and SHARES because it helps more people to discover amazing stories like Gabriel’s and change their lives for the better. See you all next week and Happy Thanks Giving for those of you over in America.